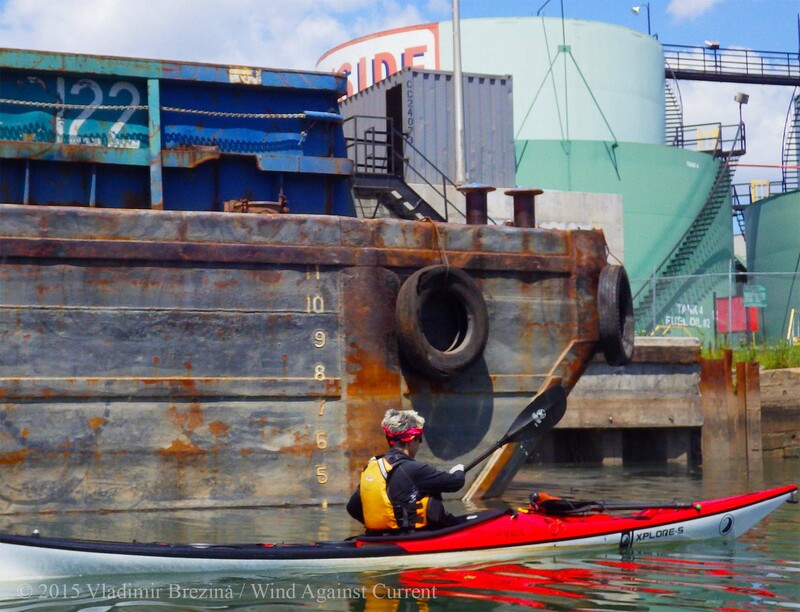 As we paddle through the backwaters of NYC’s industrial waterways, we come to close quarters with hundreds of barges and scows, many of which seem to have seen some service. 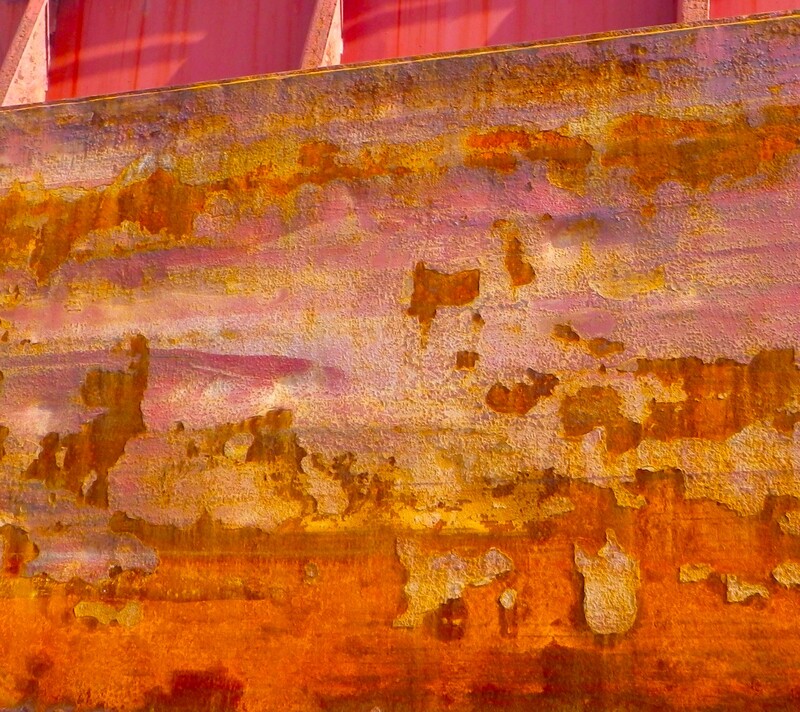 A second contribution to Ailsa’s travel-themed photo challenge, Paint. The first contribution was here. 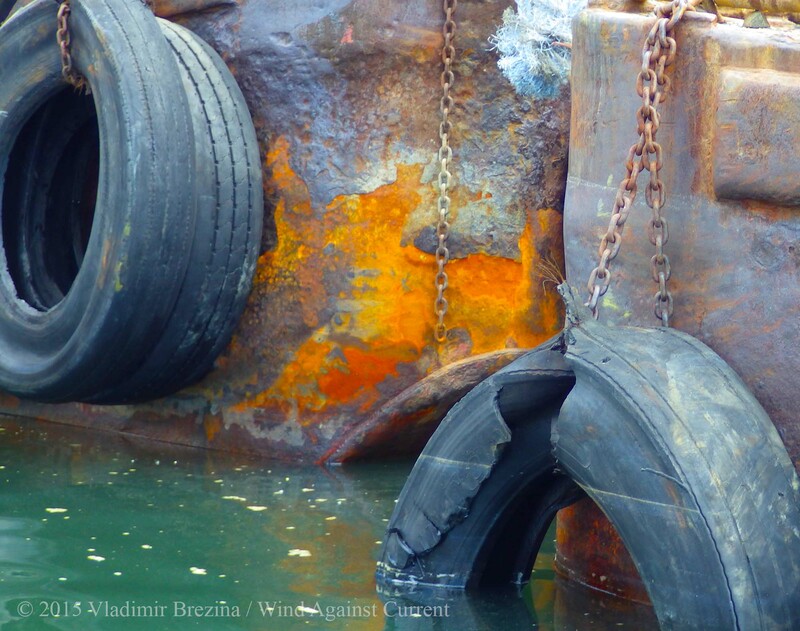 This entry was posted in Kayaking, New York City, Photography and tagged Abstract, Barges, Kayaking, New York Harbor, Paint, Photography, postaweek, postaweek2015, Travel, Weekly Photo Challenge. Bookmark the permalink. 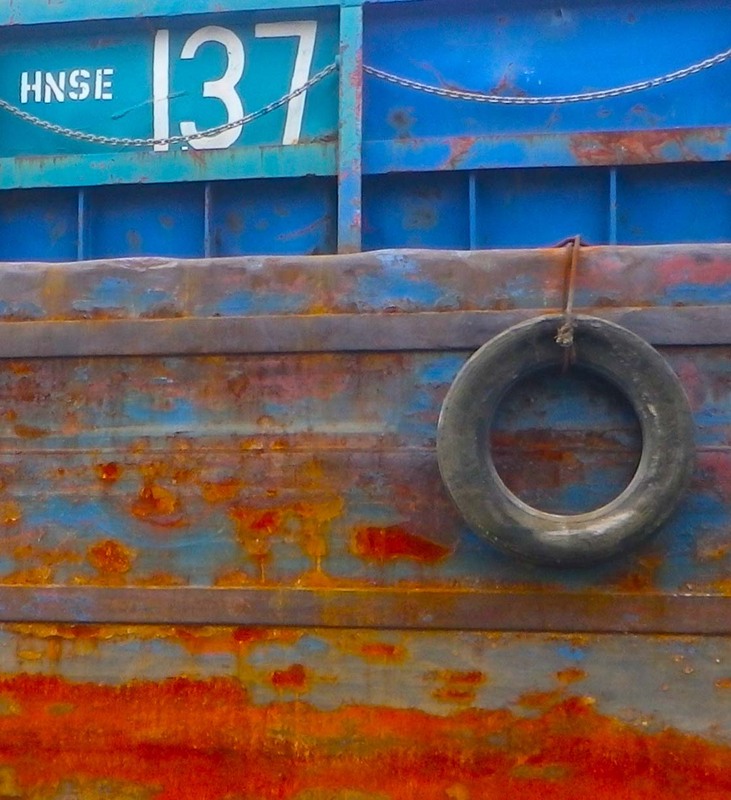 Great and interesting contrast between the paint and the rust! Love these! 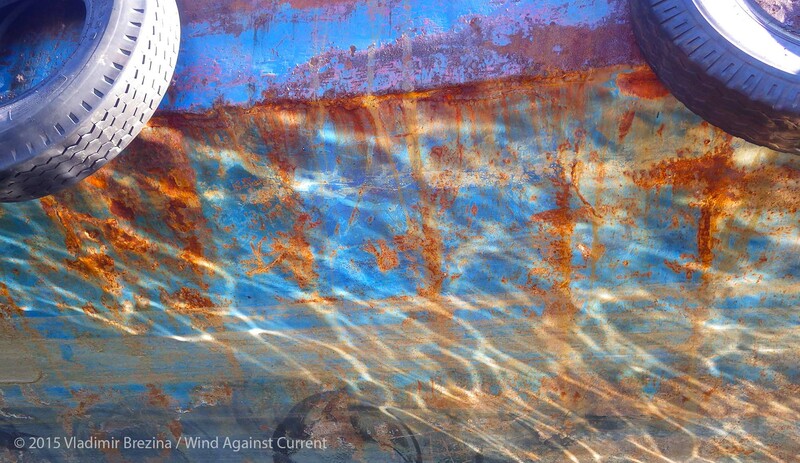 I had a sailboat once….the salt in the ocean water is rather destructive. Had to replace many rusting things, and they didn’t last long. 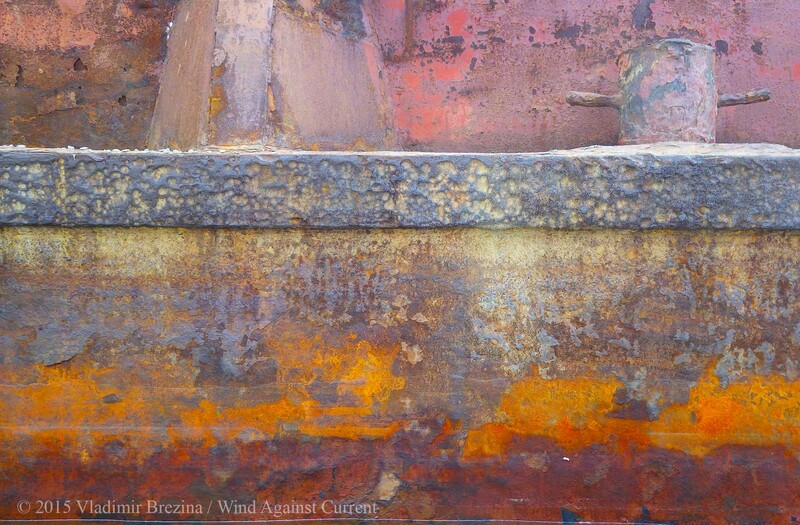 The different layers of paint on these old boats does tell a story!! Great colors! 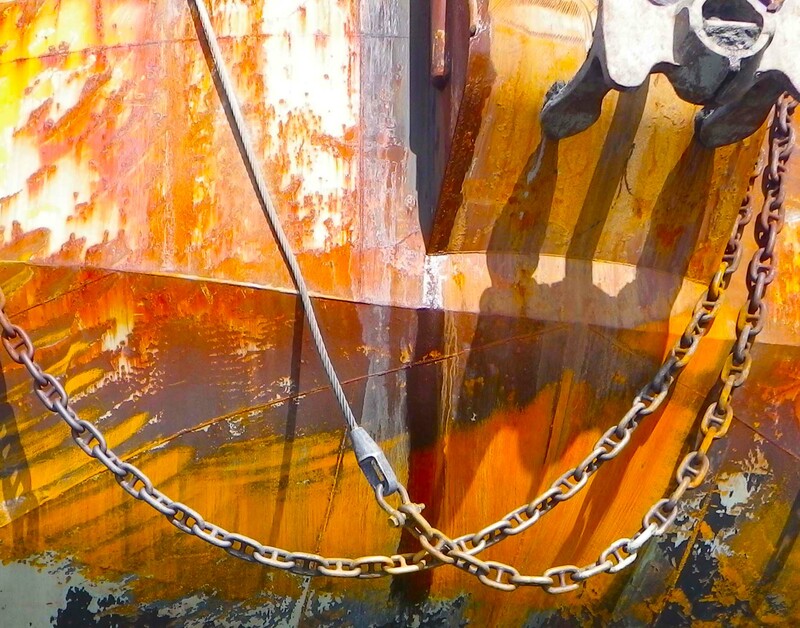 The peeling and the rust make them look like abstract paintings!